Hey friends! 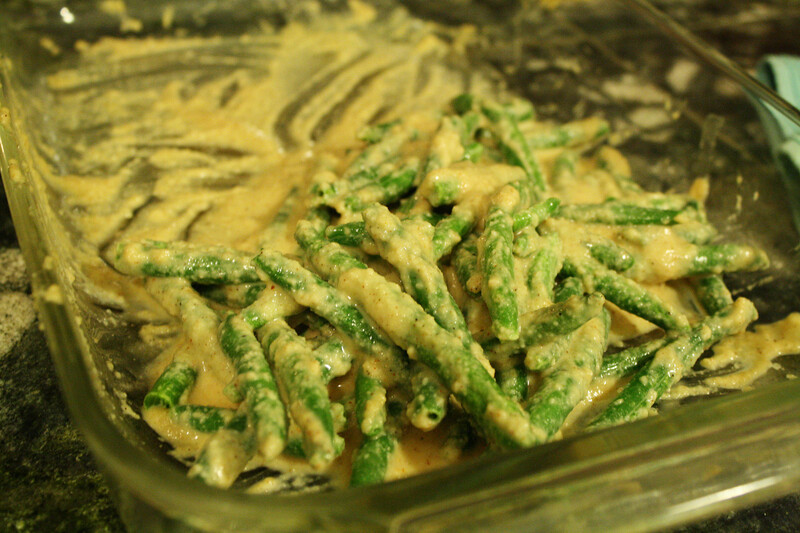 Just wanted to share a quick recipe for some gluten-free fried green beans that I made last night. 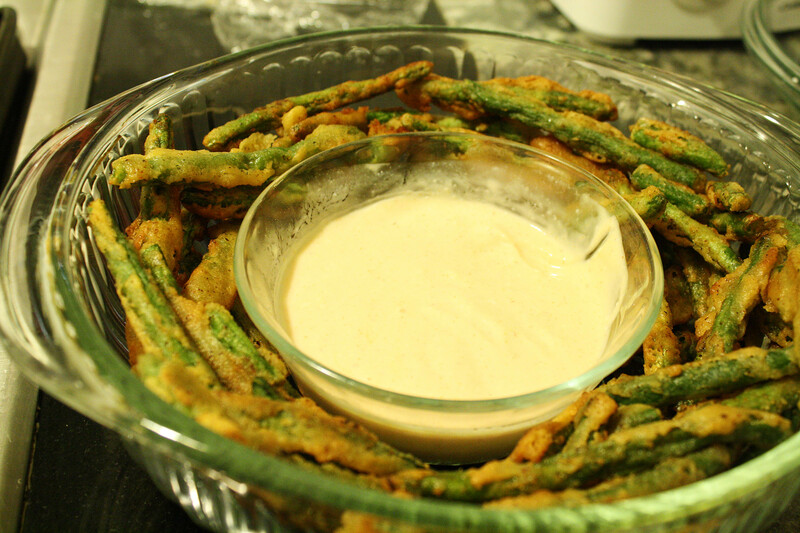 My inspiration was the fried green beans that are served at PF Chang’s. Most fried dishes aren’t GF but I was hoping I could create something yummy! Well last night we were going to a NYE party and I knew there were going to be a couple of people that were GF. I looked on Pinterest and I didn’t find any recipes. So I looked at a couple of recipes with normal flour and then just winged it. And they turned out amazing! I hope you enjoy! I spread out the beans in a 9×13 pan and let them defrost about half way. You could just microwave them for a couple of minutes to speed up the process. I whisked all the ingredients together for the batter. I poured the milk in until it was the consistency of pancake batter. Maybe 1/2-3/4 cups. Once the batter was all ready to go I poured it over the beans and made sure they were all coated well. 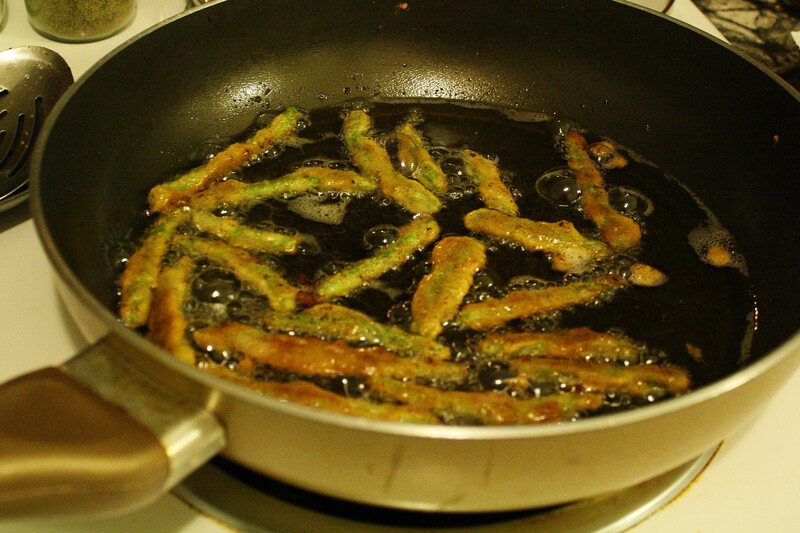 Then once my oil was hot I fried them in batches for about 3 minutes on each side (or until golden brown). I think it took about 5 batches to get them all done. I served them with a creamy Siracha sauce. They were a hit! I have several friends that are gluten-free so I love having options. I hope you enjoy this recipe as much as we did! And feel free to tweak it to your taste.